RedensityII is the first dermal filler of its kind. Redensity II combines hyaluronic acid, amino acids and nutrients to rejuvenate the eye are immediately, comfortably and noticeably! Say goodbye to dark circles, hollows and tired looking eyes with Redensity II. Designed to fill hollows, brighten dark circles and improve the texture and elasticity around the eye area. Redensity II is a revolutionary new dermal filler formulated specifically for the delicate eye area. Check out these amazing immediate before and after photos. You won’t believe your eyes!! Redensity II is designed to treat the peri-orbital area (eye circles), including tear troughs. It is noted as having a light gel with mechanical properties, which mean it needs little pressure to enter into the skin tissues, which has been adapted for the delicate eye circle area to minimize the risk of bruising. Also it is slightly hygroscopic (i.e. it attracts very little water unlike other HA gels) which results in minimal or no swelling after injecting. This product can also be use in the eyebrow area, to treat minor sagging. This product is specifically designed for remodeling faces requiring large volumes of product. 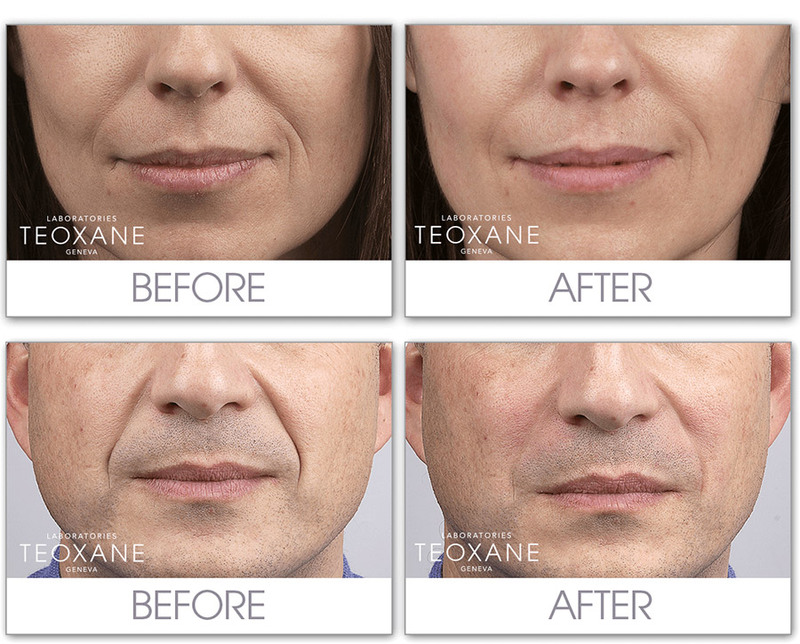 Teosyal® Ultimate enables significant improvement of facial harmony by increasing subcutaneous tissue, creating volume in the upper cheeks and chin. Teosyal® Kiss is a highly viscous formula, and contains very high plumping power when used in the lips. Its main purposes are to reshape the contours of the lips, increase lip volume, treat wrinkles around the mouth, rehydrate the lips and support lip corners. As this product is specifically designed for use in the lips, it is highly cross-linked. This results in the gel within the treatment being substantially more resistant to being broken down. Resistance to being broken down means that Kiss boasts an optimal life span of 6 – 9 months. Teosyal® Global Action Treatment is for filling linear facial wrinkles and skin breaks, such as slight or moderately marked nasolabial folds, lines around the mouth and lines between the eyebrows. It is injected into the mid-dermal layer and is suitable for mild to moderate wrinkles of the face; nasolabial lines, glabellar (frown) lines and periorbital and perioral areas. Teosyal® Ultra Deep is injected into the deep-dermal layer and is Teosyal’s densest product, achieving an immediate volume-boosting effect. It is designed for creating or restoring facial volumes, resculpting facial contours, treating deep wrinkles in thick skin, erasing folds in the skin, correcting minor ptosis and restoring the face’s original curves. An Independent study managed by S.J. 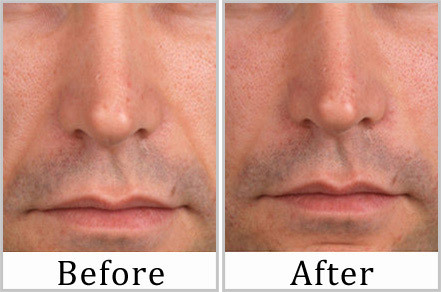 Falcone et al, and published in Dematological Surgery (2009), has shown that Teosyal® Ultra Deep is the longest lasting filler on the market, among 18 commercialized dermal fillers.